Stay warm while you navigate the galaxy in a Liquicity jacket. Featuring a small astronaut logo on the front and large white logo on the back. 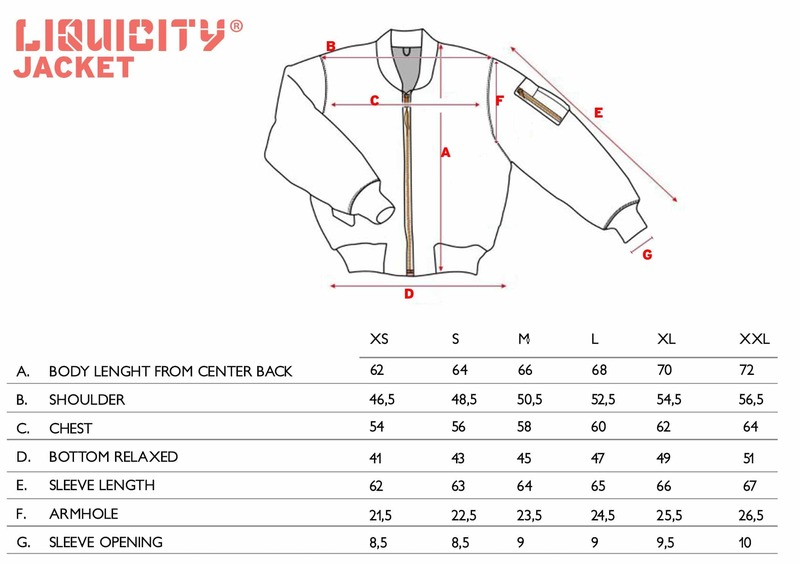 IMPORTANT: Make sure to check the size chart below so you will order the right size. This jacket is a small fit.